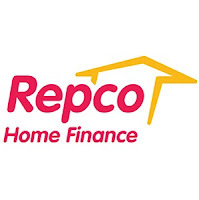 Repco Bank is a cooperative bank established by the Government of India in 1969 to improve financial needs of repatriates from Sri Lanka and Burma. It has been controlled by the Ministry of Home Affairs and operated only in the South Indian states of Andhra Pradesh, Karnataka, Kerala and Tamil Nadu. Applicants who have completed Any Graduation (10+2+3 format) or equivalent from a recognized Institute for REPCO Recruitment 2019. Eligible & Interested candidates can apply via online in Official website page at www.repcobank.com REPCO Recruitment 2019. Eligible Applicants advised to Download and read REPCO Job notification to get aware of recruitment schedule and venue from the official website.